Total outstanding Private Dwelling House (PDH) purchase credit for private dwellings amounted to €86.2bn, Buy to Let (BTL) loans were €19.6bn and holiday and second home loans were €0.9bn at the end of 20161. Tracker Loans2 amounted to €37.9 bn on private dwelling homes and €13.9 bn on buy to lets. If these loans were at current standard variable rates, the interest bill would be €0.74 bn higher in the case of private dwelling homes and €0.44 bn higher in the case of buy to lets; a total of €1.18 bn. 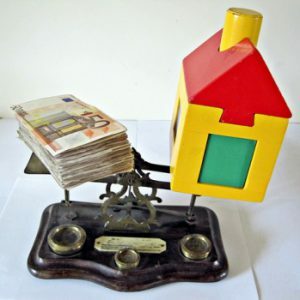 The level of arrears on buy to let mortgages appears high when one considers that over two-thirds of buy to let loans are on tracker mortgages at historically low rates and rents are rising. It would be very helpful in analysing this further if the Central Bank would publish the arrears rates on tracker mortgages separately. 1 These figures refer to the total outstanding stock of credit for house purchase to domestic resident households by resident credit institutions. 2 A tracker mortgage is a variable rate mortgage where the interest on the loan is linked to the European Central Bank rate by a fixed differential. Trackers began to be issued in Ireland around 2002 and virtually all mortgages issued in the period 2004 to 2007 were trackers.